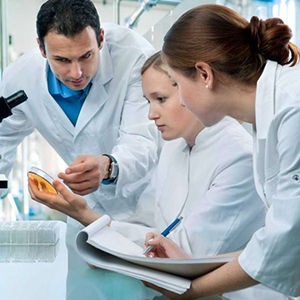 VIVO Healthcare today announced a 3-year exclusive partnership with Siemens Healthineers, India to introduce Medical Lab Technician (MLT) course with high quality practical outcome-based curricula. This course will further improve employment options for students along with industry readiness. Initially, the newly introduced program with state-of-the-art MLT lab will be made available at VIVO Healthcare, Gurgaon centre and eventually be introduced in other VIVO centers across India. The total healthcare industry size is expected to touch US$280 billion by 20201.While we witness growth; there is an enormous shortfall in the numbers of allied healthcare professionals (AHP). Laboratory technicians fall under the category of AHP and India has a massive crunch in these spaces. Laboratory technicians collect fluid, tissue and blood samples to perform a variety of tests. They may work in hospitals, diagnostic labs, blood banks and medical clinics and generally work under the supervision of a pathologist. These technicians work within a team of medical professionals, each performing tasks essential to successful patient care. This 1,200 hours MLT course offered by VIVO and Siemens Healthineers will be available for Class XII (science) or Phlebotomy students with an experience in laboratory setup.